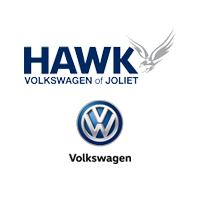 At Hawk Volkswagen, it is our goal to help Romeoville residents find the new or used cars they want at a price they can afford. At our Volkswagen dealer, you can find a new or used Volkswagen that gets you where you need to go. Volkswagen is known for their reliability and we take great pride in offering our customers the best car lease and purchasing options available. We work hard to make sure you are getting what you need, while keeping within your budget. Affordable car leases can be a great way to drive a new car without the loss of value and the high price tag they often come with. When you get a Volkswagen car lease in Romeoville, you will be able to get behind the wheel of the latest Volkswagen models every few years. While used cars are always a viable option, if you prefer the thrill of a new car, the best car lease can be an excellent alternative. We will sit down with you and go over the pros and cons of a car lease so you can make the right decision for you. We recognize leasing options are not always the best for everyone. At our Volkswagen dealer near Romeoville, we provide a vast selection of new and used Volkswagen vehicles, as well as a number of other used makes and models. This means you will be able to browse through our selection and find a vehicle that meets your needs and your budget.